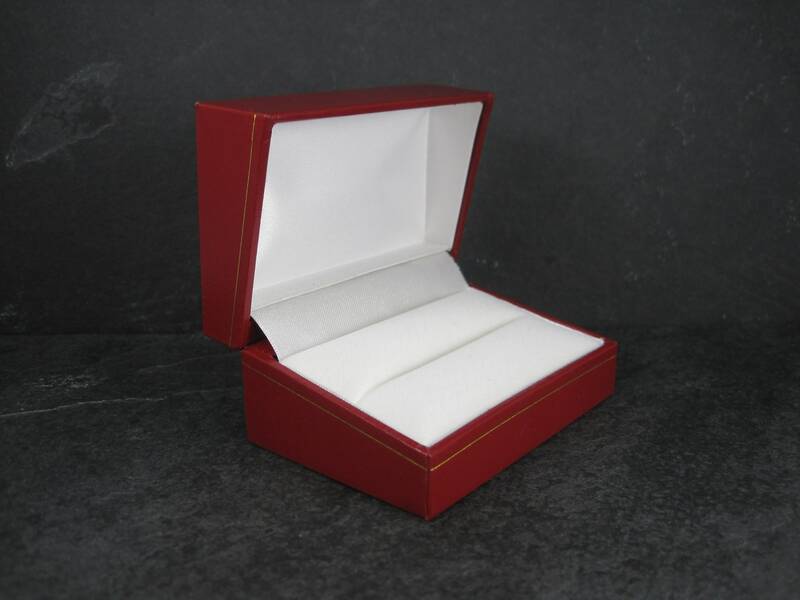 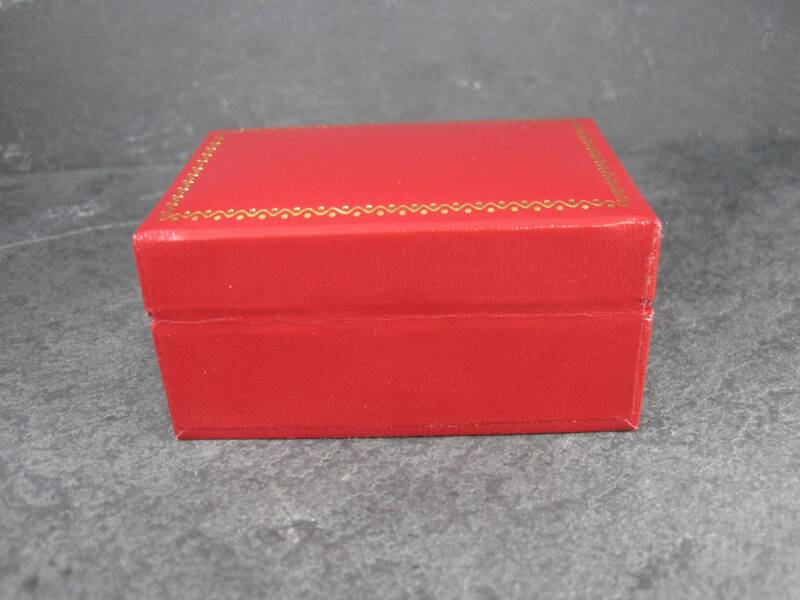 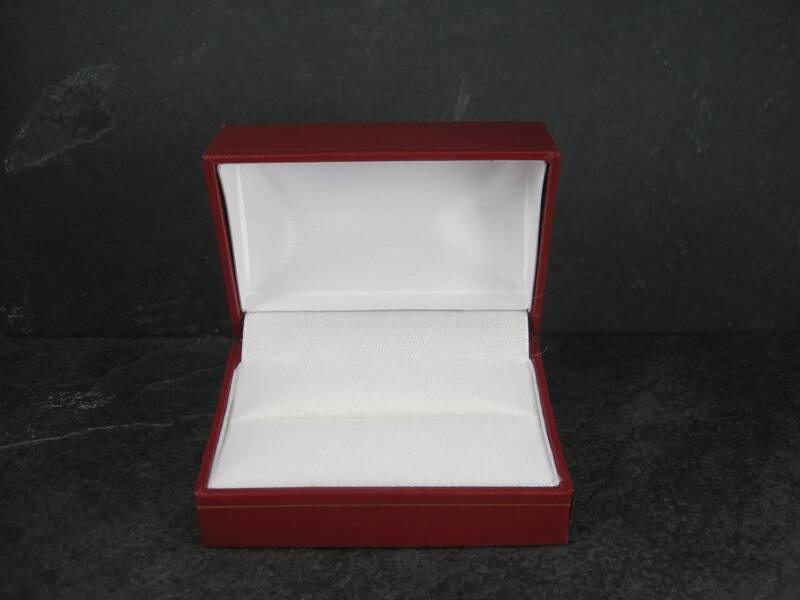 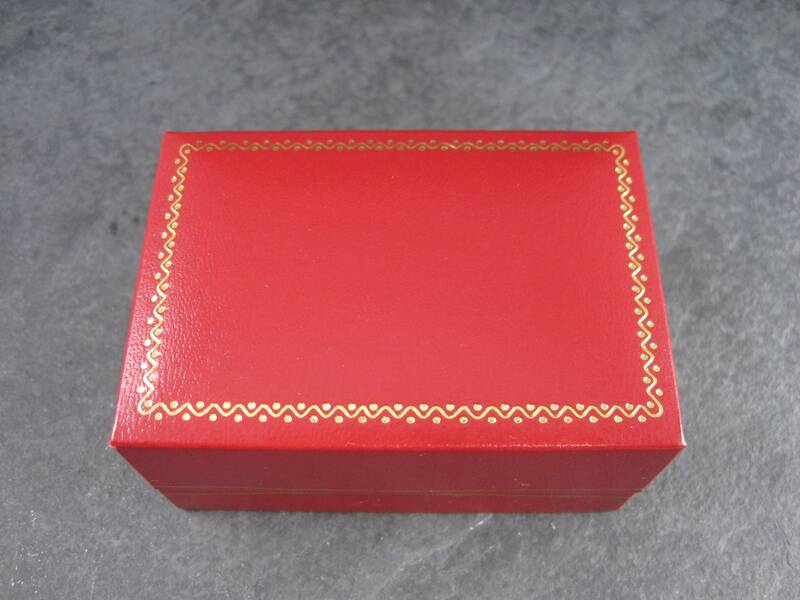 This beautiful ring box is done in vintage style red leatherette with gold trim. 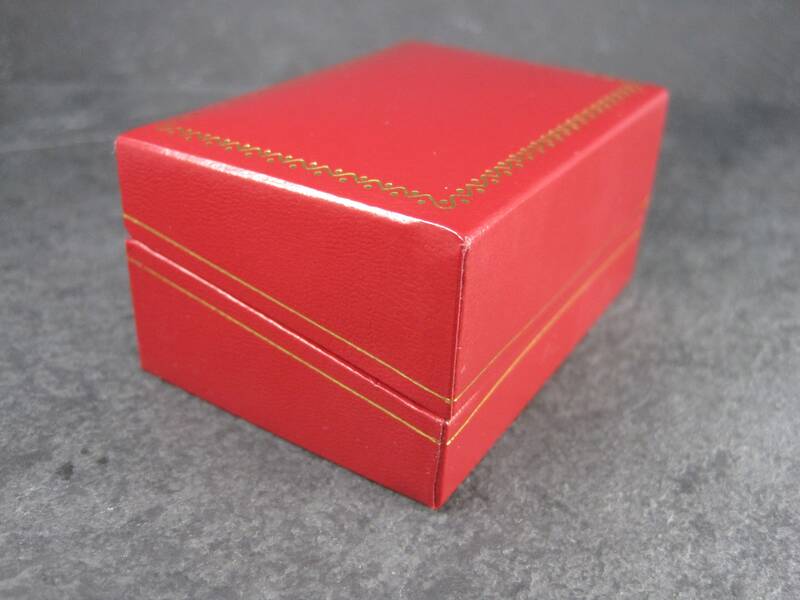 The inside is lined in a combination of white and red. 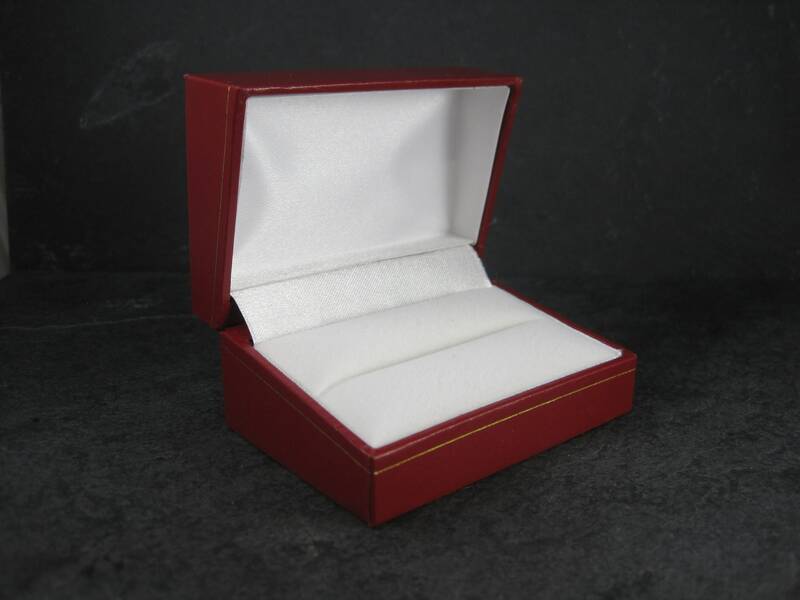 It can hold a single ring or a set.